In support of roofing and roofers, CentiMark Corporation and our associates are grateful to support food banks across North America during National Roofing Week. Each CentiMark office has unique stories and insights into the problems of food insecurity in our respective communities. We wanted to share a few of those stories as we conclude our week-long tribute to roofing contractors and roofers during the NRCA's National Roofing Week. Richmond, VA office: FeedMore Central Virginia Food Bank - combined efforts for Food Bank, Meals on Wheels and Community Kitchen - "working together to feed more." FeedMore indicated that for every dollar donated - five (5) meals can be provided. We were proud to be able to provide thousands of meals with our donations. 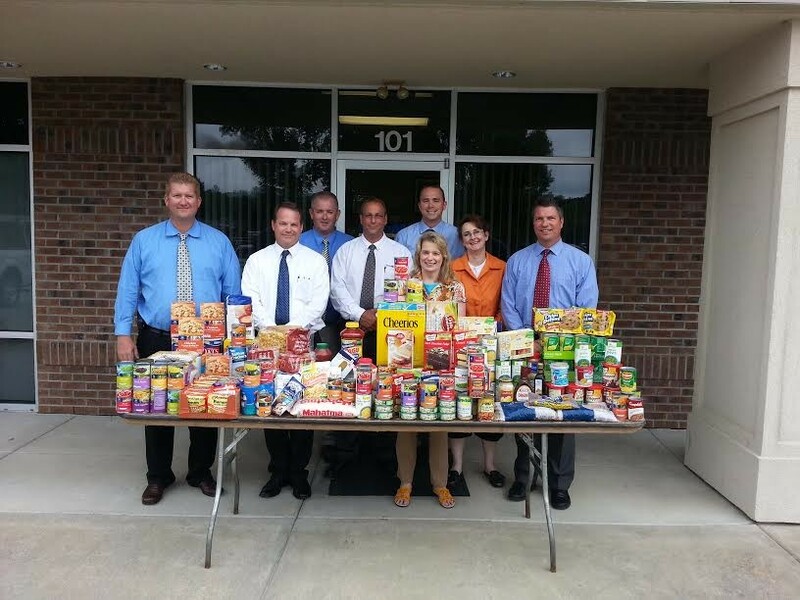 Kalamazoo, MI office: Loaves and Fishes - CentiMark donated 180 lbs of food which will provide 150 meals and with our donation, they will be able to purchase at bulk - 5,555 lbs of food. Salt Lake City, UT office: Good Samaritan Program, Cathedral of Madeleine - we helped to provide and serve lunch for the program that serves over 370 sandwiches per day - 365 days per year. CentiMark's volunteers also deliver socks for the homeless because as we were informed: many homeless people literally live on their feet and a new pair of socks is a blessing to them. Our CentiMark volunteers were also treated to a guided tour of the beautiful Cathedral of Madeleine after lunch was served. Louisville, KY office: Volunteers of America - the CentiMark team donated personal hygiene items as requested by the Volunteers of America. They also served lunch twice and have plans to serve dinner and participate in the Back-to-School Program.